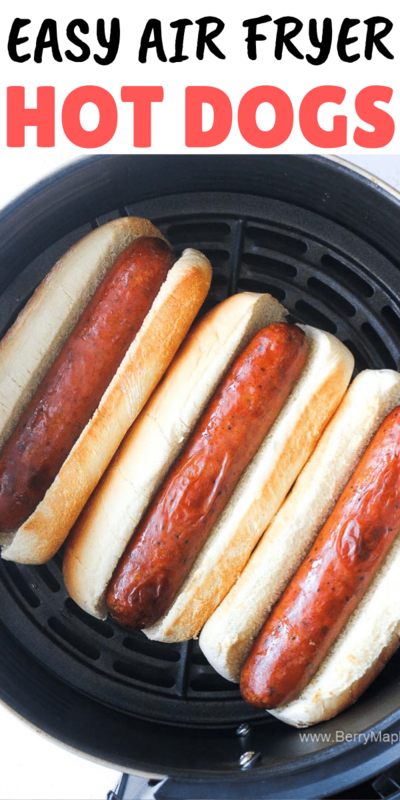 Our favorite way of making hot dogs- in the Air fryer! Such an easy , quick way to make perfect crispy bun and juicy hot dogs. 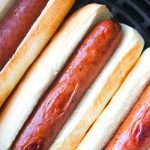 Easy 2 ingredient recipe for a quick lunch or to feed the crowd- Air fryer hot dogs! Nothing can beat the convenience of this cooking method. Completely mess free and it take only 5 minutes to make it. Please check my other air fryer recipes, they are all oil free, easy to follow and delicious! Most are weight watchers and keto friendly too! Best quick lunch on the go and kid friendly too. Very easy! 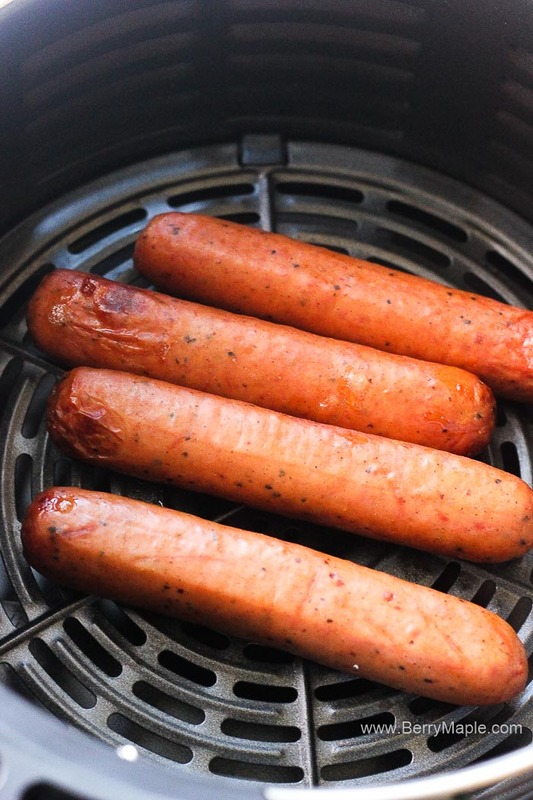 Place franks in the air fryer and cook for 5 minutes at 375 degrees. Take them out and place inside the hot dog bun. Put back in to the air fryer and cook for about 1 more minute. Check on it to see how crispy you want it. 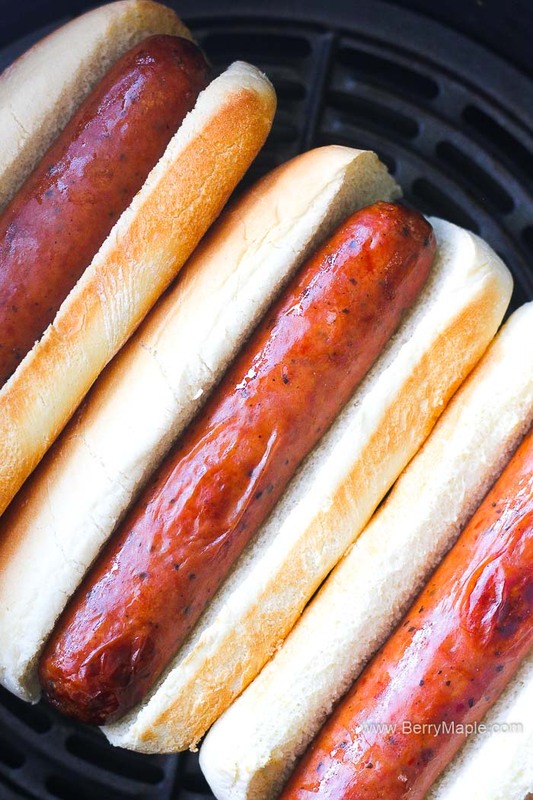 What brand of beef hotdogs are you using ? This is really simple and I can’t wait to show the kiddos. Its simple enough that even they could do it. Thank you for sharing this. I just got an air fryer and I’ve been looking for more ideas to use it! This is perfect!